Brand Management Company Jolie 360 is very excited to announce the launch of The Boston Breweries Tasting Room. The European style and eco conscious Village Market, Cape Quarter, will be home to this exciting development. 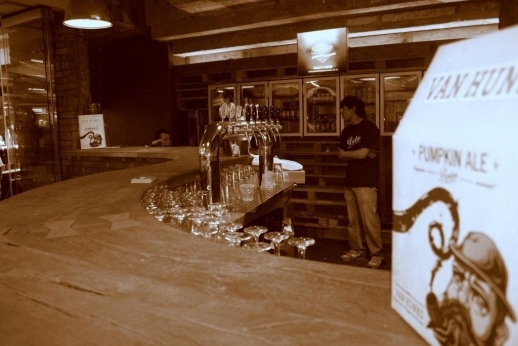 Boston Breweries have been working on perfecting this concept and have been seeking the perfect venue. The Market Bar is just that; and has undergone a face-lift that will lend an exciting new element to the Cape Quarter. The tasting room will give the general public a chance to taste all of Boston Breweries Fine craft beer and hire the venue for events of their own. On the launch night we pair delicious food expertly prepared by Celebrity Chef Jean Nel from Flamed with each of our craft beers, a trend that is very popular in Europe and fast becoming one in South Africa. Thursday 13th September at 6.30pm will see the launch of this concept and all craft beer enthusiasts are welcome and encouraged to come enjoy, taste and learn about the beauty of our Craft Beer and food pairings.